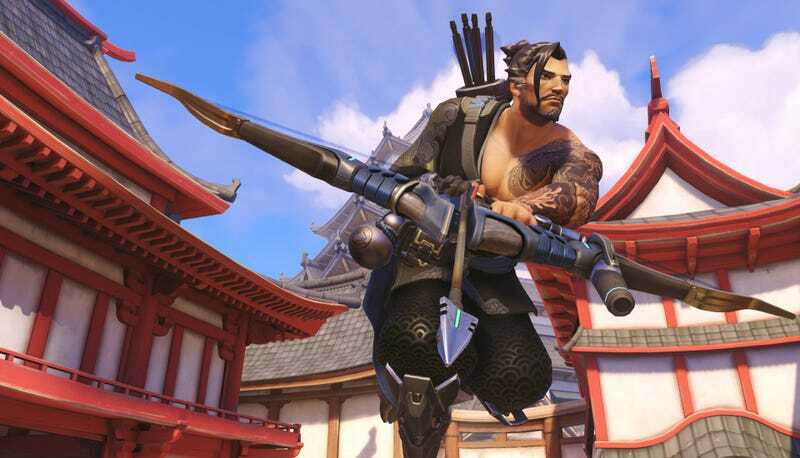 Overwatch is remarkably polished for a game in beta testing, but... it’s still a game in beta testing. Overwatch’s “play of the game” feature is great. It’s a nice way to cap off a match, showing a player wrecking shop in the kills or heals department. When you earn it, it feels amazing. When somebody else does, well, you’ve got something to study and learn from. It is not, however, always spot-on. Case in point: this player, markorply, received the prestigious honor for... hopping. I mean, you know, I bet continuously leaping while holding a bow-and-arrow is kinda hard in real life. So this could conceivably be called an accomplishment... somewhere. Seriously though, this was an issue (albeit a humorous one) in the last beta, prior to a two-month break that centered around tweaks, fixes, and new features. While a lot has changed for the better, it seems like a lot of smaller things still need fixing. There is also an argument to be made that T-beard’s turrets are overpowered, making this accomplishment a bit less awesome. The turret’s range is pretty ridiculous, and it’s tough to bring down. Another thing for the needs-a-fix list, it seems.